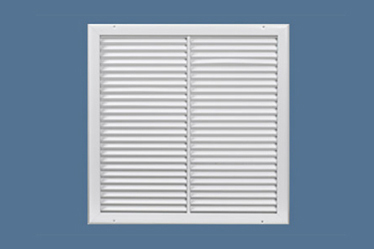 Frame and blades are 6063 extruded aluminum alloy with 200-R1 satin anodized finish. 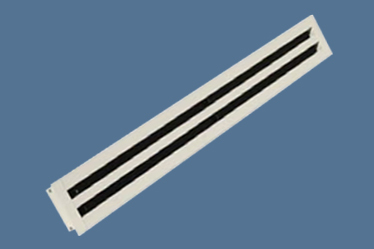 The frame has a typical wall thickness of 050 and is separated from the blades by an extruded rigid PVC track that becomes an integral part of the frame. This method of assembly eliminates corrosion and vibration. Air foil blades are spaced 3/4" on center, and the double curved blade has the appearance of 1/2" spacing. Cube core returns utilize the same frame with .80" thick 1/2 x 1/2 x 1/2" molded polystyrene core, .015" thick 1/2" x 1/2" x 1/2" woven mill finish aluminum, .025" thick 1 x 1 x 1 coven mill finish aluminum. 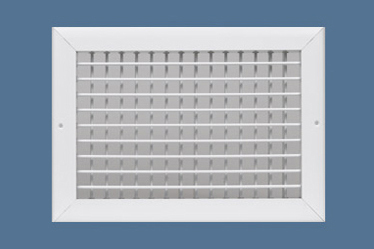 Return filter grilles utilize the same material specifications as above. To provide easy access to the filter the core swings in and out using two concealed pivot pins and is held in place by two nylon locking devices. 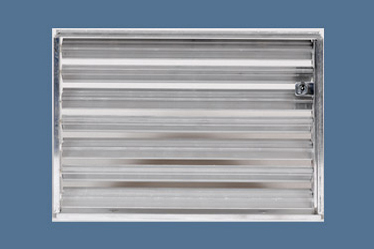 Door grille blades are chevron in configuration. This provides the benefit of being sight-proof. 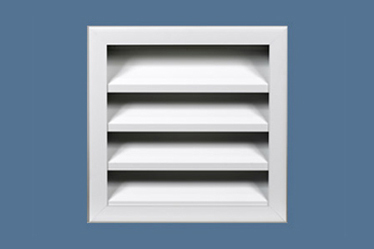 An optional opposed blade damper is operated through the face of the unit and has the same extruded mill finish aluminum construction and injection-molded nylon bushings. 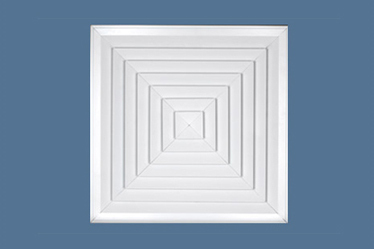 Also available with optional T-bar filler panel, model PLT.